STRATA LAW CHANGES: Anthony Roberts MP; architect | COMMUNITY ACTION ALLIANCE FOR NSW (CAAN): HOUSING INEQUALITY WITH AUSSIES LOCKED OUT! IS it the case Deve-lopers have found a means to devour even more … ? PERHAPS time the Owners Corporation stepped in to organise a Strata-wide Class Action? It’s been branded the biggest new rort in apartment living: a way of locking unwary new unit owners into expensive long-term contracts to pay for basic services the developer of the building should have provided. *Instead of paying to install the necessary building infrastructure, such as gas, electricity, water, stormwater filtration, heating, airconditioning and internet access, some developers are transferring the costs onto owners via inflated service contracts. Most states’ strata laws forbid developers from signing contracts committing apartment owners to deals that they haven’t agreed to. However, some developers turn up at the first AGM of a new apartment block with complex contracts for owners to ratify, committing new apartment purchasers to huge long-term payouts for embedded infrastructure that would normally be provided for free. “It’s like buying a car, and then later discovering that you have to pay extra for the wheels,” says strata lawyer David Bannerman of Bannerman Lawyers, who has been investigating the new practice. “Those people would assume when they’ve bought an apartment, they’d also have bought the stormwater services, the necessary gas pipes, the cables for the phones … everything you need to live in a new apartment. “But then they’re presented with these agreements that many of them won’t understand, or realise commit them to huge costs over a long period of time. It can be a way of shifting the cost of the installation from the developers to the new owners by charging them for the service – and the owners are getting shafted in the process. Once such contracts have been agreed to by owners at that first meeting, they can be almost impossible to get out of, too. Some owners corporations have found themselves signed up to paying $6000 per annum for the maintenance of stormwater drains on a 99-year lease – something that might normally cost $2000 a year, being $1000 to change the filter annually and four quarterly cleans at $250 each. Instead, the $4000 extra they’re paying a year is the payback to build the system. Others have ended up paying $5 per lot per month for 99 years for the single cable that was installed to give them access to phones and Foxtel. Urban Taskforce Australia chief executive Chris Johnson, who represents developers, said such practices would be a concern, with apartment buyers not necessarily aware of what was happening and would simply assume that such contracts were normal. “My feeling on this is that there needs to be transparency in the negotiations and sales between developers and buyers,” he said. “Fair Trading or some such body should make sure there aren’t these kind of loopholes and there needs to be continual tweaking [of the law] to pick up on these sorts of issues. 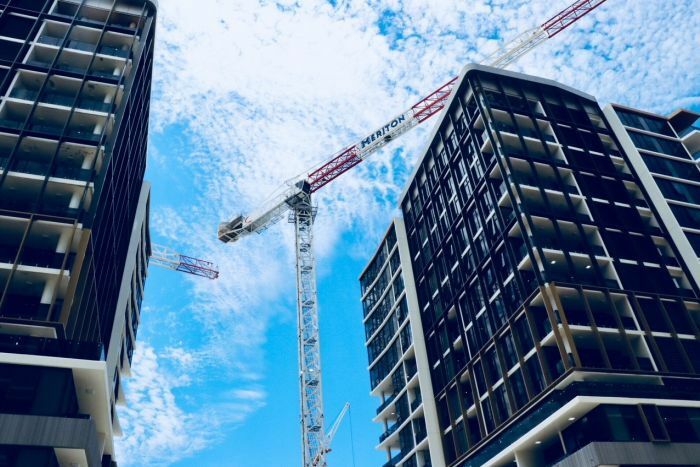 *But there are reports that this is happening more and more frequently across Sydney as the market for new apartments softens and developers’ profit margins are squeezed. The unsuspecting buyer can then end up the loser. “Strata schemes can be extremely vulnerable when exposed to these kinds of practices,” says David Sachs, principal of legal firm Sachs Gerace Broome. “The ways these kind of things can be done are far more sophisticated then the legislation can cope with; it’s way behind what developers may do. Many strata managers are also struggling in the face of this new trend. The retailers of such services tell developers they’ll install infrastructure for free – as long as owners then agree to pay exorbitant service fees. *And often strata managers, who are hired by the developers to be at that first AGM of new owners where contracts are agreed to, are unable to speak out on owners’ behalf, or warn them, against agreeing to the contracts. “Strata managers are in an invidious position,” said one industry principal, who asked not to be named. “If we refuse to push these contracts through at the first AGM, the developers will just use strata managers who will. Chris Duggan, Strata Community Australia president, says it’s an emerging trend that’s occurring across a whole range of infrastructure services. He says he encourages strata managers to remain “as agnostic as they can” with the owners, and encourage them to take independent legal advice and have the operator of the infrastructure network in to speak to them. He has seen some embedded networks, over time, that work well for owners, like electricity, gas or water systems that enable individual billing and can save people money through buying in bulk and sharing the savings. But he’s also seen some “ugly” ones like those that charge apartment owners for stormwater drains. The Property Council of Australia, which also represents developers, said its work on embedded networks had been focused only on electricity network issues. *The Real Estate Institute of NSW recently removed itself from government liaison committees because of dissatisfaction with the current system. THANK the Property Sector Lobbyists and their ilk for such misery … and to add to your woes developers and RE Agents can secretly bribe 75% of the owners to sell out … to force the remaining 25% to sell out … NSW INC Strata Law changes. VIEW and Search Caan Website to find out more! It did not take long for Grant* to come across a classic power-tripping neighbour. He bought into a small block of strata-titled townhouses in Sydney several years ago. The first sign of trouble was a request for money to cover work that had been completed on the building before he lived there. “The difficulty is the personality,” Grant said. It was the beginning of a frustrating pattern. A small space of common property in a yard became the subject of endless disagreements, as did the family’s request to put up a fence for safety and privacy. Its colour, location and height were all put under the microscope. “It became apparent he was never going to say ‘yes’,” Grant said. PHOTO Strata is Australia’s fastest-growing form of residential property ownership. The neighbour sent more than 120 emails about various grievances — eventually, Grant stopped responding, and hired lawyers. “We would never buy into a strata again,” he said. Strata is the fastest growing form of residential property ownership in Australia, according to a 2015 City Futures Research Centre report. It estimated over half the new metropolitan dwellings being built Down Under were strata-titled. There are more than 76,000 residential strata schemes across NSW, according to the latest registration figures from NSW Land Registry Services. Almost 60 per cent of those are in the greater Sydney area. The data shows in the past decade, the number of strata schemes in NSW has risen by an average of about 1,200 per year. “Every building has one — a self-appointed building manager who has lived there the longest,” one real estate agent told the ABC. 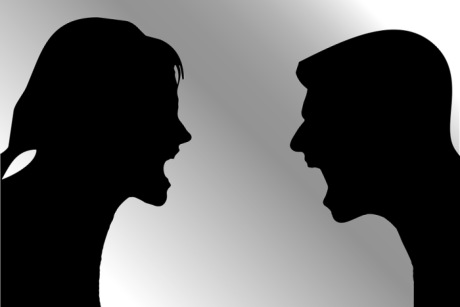 The most common advice for those grappling with escalating disagreements is to try and sort things out among yourselves. If you decide to take legal action, you could end up at the NSW Civil and Administrative Tribunal — an independent body and court alternative that deals with landlord and tenant disputes, among other issues. Regardless of whether you rent or own your property — or how long you’ve lived there — everyone is bound equally to the by-laws under NSW’s Strata Schemes Management Act. John Douglas, special counsel at Colin Biggers & Paisley, said the legislation set out high-level principles. “Sometimes the way such principles manifest in daily life may not be as black and white as in the legislation,” he said. The building’s size can be important — in large strata schemes residents can benefit from anonymity. In smaller buildings, the strata committee may be influenced by one dominant resident. 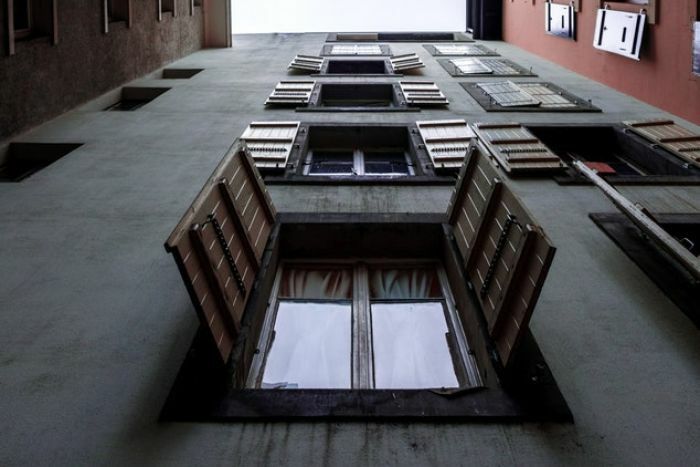 “Disputes can first attempt to be resolved with the building management, but in a smaller building where the strata committee may be controlled [or] heavily influenced by the neighbour in question, things can become tricky,” Mr Douglas said. PHOTO High-density living can lead to disputes. Fair Trading’s strata mediation service is often the first option to solve small grievances — like noise complaints, or issues with pets — in a building. Mr Douglas described the tribunal as far more user-friendly and cost-effective than the court system. “These cases tend to be more straightforward and will not involve barristers and eventual High Court judgements,” he said. “But even if you’re off to mediation and, failing that, the NSW Civil and Administrative Tribunal, any sort of dispute is time consuming and can be quite emotionally and mentally draining. Grant said it was “totally understandable” disputes drove some people to move, rather than endure ongoing awkwardness. “There was quite a hefty emotional toll,” he said. He said people battling an abrasive neighbour should do their research. “Be absolutely sure via a lawyer what your rights are,” he said. “And under no circumstances expect the body corporate to be reasonable, fair or generous. APARTMENT OWNERS Unite against politicians on Airbnb & Flammable Cladding! These issues are posing a big Election threat for the NSW Government following their concerted push to house the community in apartments! LET’s hope it comes back to bite ’em! It has been said in many ways, many times, but there is a fundamental truth in politics – if you want people to unite, give them a common enemy. So it should be no surprise that the recent challenges to apartment owners and residents in our most populous states have brought them together. In NSW, the enemies have been the threat of out-of-control commercial short-term holiday letting through Airbnb, Stayz and their ilk, followed by the targeting of 435 apartment blocks that have been told to check their cladding to see if it’s flammable, then do something about it. In response to both challenges, the apartment owners’ lobby group the Owners Corporation Network (OCN) stepped up and was hugely influential in NSW ending up with by far the best short-term letting laws for apartments in Australia. Taking on the challenge of flammable cladding, the OCN is now calling on all those blocks identified by the government as being at risk to work together on its Flammable Cladding Action Group. The action group’s stated aims include providing a platform for collective legal action against installers and developers, a stronger united voice in talks with government, raising finance, and negotiating more favourable deals to get the work done (especially for those buildings left holding the bills after warranties expired). Flammable cladding has also galvanised apartment owners in Victoria, with lawyers pulling together affected buildings with a view to launching class actions against the same developers who were responsible for different blocks. But it’s the bitter battle over short-term holiday letting that has left the longest-lasting and deepest scar. Thanks to new, laissez faire holiday letting laws, the 75 per cent increase in Airbnb lets in the Victorian capital over the past 12 months is unlikely to have slowed. According to data scraping website InsideAirbnb, more than 12,000 of the 20,000 Victorian listings are whole homes or apartments, many of them commercial enterprises. Other agencies are offering similar services so you can assume the market is larger. When the Victorian government pushed through its laws this year, the main campaign group We Live Here vowed that this would not be forgotten come election time. But would that make any difference? Looking at inner city seats, where apartment blocks tend to be concentrated, in Prahran the Greens’ Sam Hibbins has a margin of only 0.8 per cent. Even with Liberals on the nose nationally, a disruptive focused campaign could easily turn that seat from Green to blue. Possibly more significantly, Labor’s Martin Foley in Albert Park and, especially, Richard Wynne in Richmond could and probably should be wondering about any pro-strata campaign. Why? The owners and renters who live in areas where commercial holiday lets are most common suffer most from their intrusion, and with no appreciable benefit. The thousands of commercial “hosts” who love the holiday-letting laws obviously live elsewhere. It will be interesting to see if any politician of any hue is prepared to risk the considerable ire of Airbnb and woo the micro-constituency of apartment residents. In NSW, the creaking Liberal coalition government was dragged kicking and screaming to its pro-strata holiday-letting laws. But it could yet be punished by apartment owners for not doing enough to protect them from developers, especially with regard to cladding. 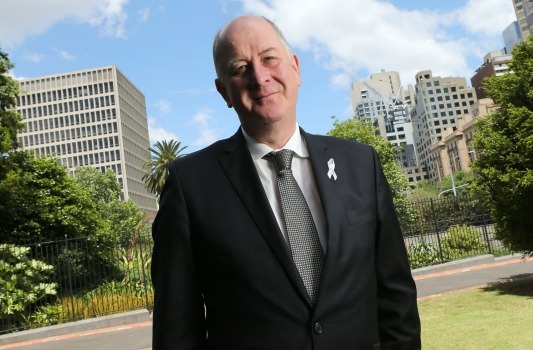 Innovation and Better Regulation Minister Matt Kean has gone on record saying that developers should pay but the onus so far has been put on owners to check and then deal with flammable cladding as best they can, with some individuals facing bills of $60,000 or more. Whatever happens at their elections, both state governments have achieved something significant – they’ve got apartment owners talking to each other. so he took them to court! This meant a 2 year legal battle for buyers but fortunately the changes to the legislation were tested and protected these buyers against the developer trying to enact sunset clawbacks to increase profits. The Harmony development in Surry Hills. Off-the-plan buyers today (26 September) won a massive victory in a landmark Supreme Court judgment and major test of new legislation to protect property purchasers. 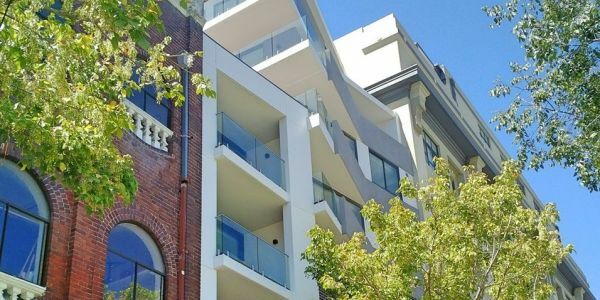 A developer had taken a group of buyers of a new building in Surry Hills to court to argue it was entitled to rescind their contracts because problems with the development had pushed the completion beyond a sunset clause date. The buyers argued the developer was merely trying to cancel their contracts so he could resell the apartments for higher prices in the rising market. Justice Rowan Darke on Wednesday ruled the developer had not acted justly or equitably in trying to rescind the contracts. He dismissed the bid to tear up the contracts, and awarded costs against him. 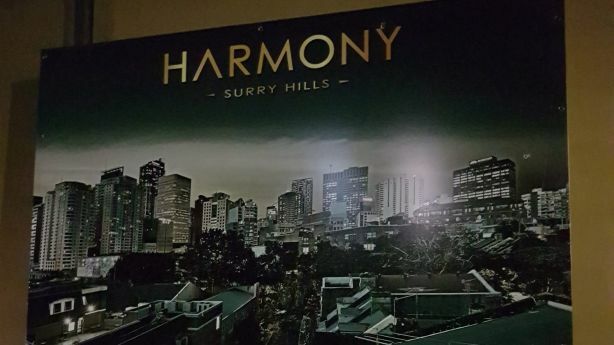 Photo of the Harmony development advertisement. One of 12 people fighting for the right to keep his new home in the Harmony block was financial product manager Tom Christensen, 31. “It’s been four-and-a-half years since we put down the deposit on the apartment, and nearly two years that we’ve been involved in the legal battle,” he said. The main developer, Joel Redelman, of Parker Logan, who bought the site off the original developer, Silver Star Fashions’ Christopher Kalowski, did not comment. His office said he was the only one allowed to speak to the media and he was “travelling and cannot be disturbed”. Finance, Services and Property Minister Victor Dominello. 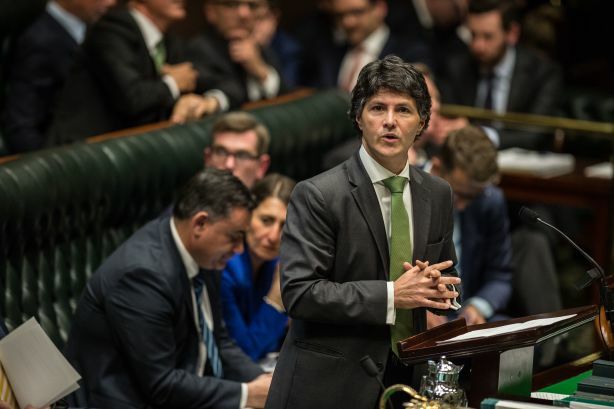 Finance, Services and Property Minister Victor Dominello, who introduced significant changes to the legislation to protect buyers against unscrupulous developers trying to enact sunset clawbacks to increase their profits, said justice had been served. “You design these changes and rush them through hoping they will be of help to buyers, but you never know until they’re tested rigorously in court,” he said. “But this verdict has shown that justice has been served, and home-buyers can now make their decisions knowing they aren’t defenceless against developers who try to abuse their power. “It gives me enormous comfort to know that they now have a lot more protection,” he said. Justice Darke was told in late July and early August that a troubled quarter-built, 16-unit boutique building on Mary Street was bought out from its original owner by Mr Redelman, of Parker Logan and OZD Pty Ltd. Letters rescinding the contracts of 12 of the purchasers were sent in his name . 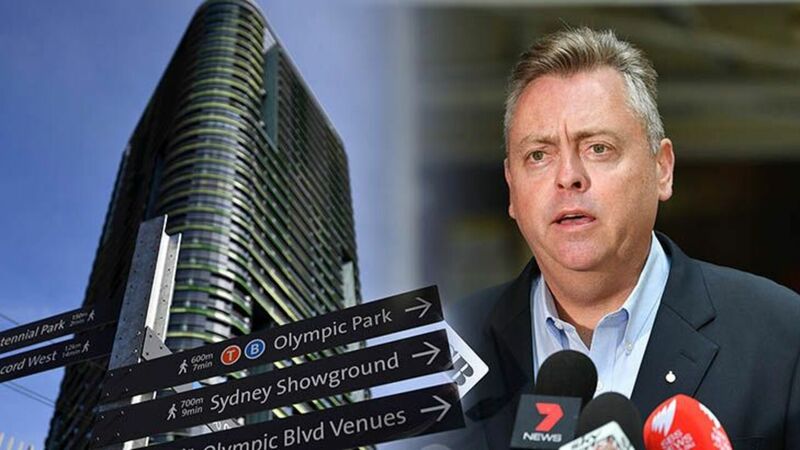 Under the new legislation enacted in 2015 — following a series of stories by Domain on developers deliberately delaying work to be able to trigger the sunset clause and resell for higher prices — a developer cannot force rescissions on buyers; he has to apply to the NSW Supreme Court for permission. Mr Redelman admitted that he was thinking about profitability when he considered tearing up the contracts. He managed to persuade some buyers to rescind, or to pay extra to keep their units, but 12 refused and he took them to court. The court heard a series of “hopefully scary” letters were sent to the owners telling them their units might shrink or might never be finished. As a result of today’s verdict, Mr Redelman, who’d taken up residency in one of the disputed apartments in the newly completed block, now has seven days to vacate – and hand the keys back to the original buyer. Up until recently, there have been no reported cases of where the Land & Environment Court has dealt with an application to permit the collective sale or redevelopment of a strata scheme under the new strata laws. That changed on 19 February 2018, when the Land & Environment Court issued preliminary decisions in two cases involving proposals for the collective sale of two strata schemes in Sydney. So, what can we learn from the first two collective sale cases? To find out download this paper Collective Sales Cases Hit the Land and Environment Court.